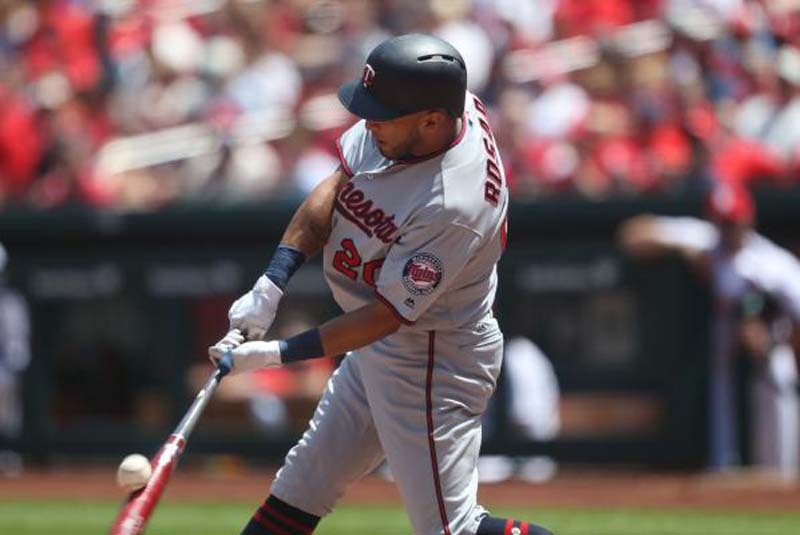 Jorge Polanco is expected to make his season debut Monday night when the Minnesota Twins open a two-game interleague series against the Milwaukee Brewers at Miller Park. That performance moved him into the No. 3 spot in the Twins' lineup, but manager Paul Molitor said he probably won't bat that high right away upon his return. "We know what he did last year when he had a chance to move up into a pretty important role," Molitor told reporters Sunday in Chicago. "I don't know we'll jump him up there that fast. For us to see him is going to be different than hearing about him and reading about him and texting him and all those kinds of things. "We'll see how it is. To be honest, coming up here and playing, even though he's doing really well, it's going to be a little different than what he's been doing." "I went back and looked at some of the hits I gave up," Gibson said. "I don't know if I just picked the wrong pitch at the wrong time or what. I executed quite a few pitches there, and they found holes." "Two runs, three runs ... You're going to need more to win most games," Brewers manager Craig Counsell said. Brent Suter (8-5) gets the nod in the series opener. He'll be looking to get back on track after his three-game winning streak was snapped last week by the Kansas City Royals. Suter overcame a somewhat slow start to the season and has turned into a solid starter in the last two months. He's 6-2 with a 3.50 ERA in his last eight starts. Before his outing against Kansas City, he hadn't allowed more than three runs in his previous seven games. Part of Suter's success can be attributed to his pace, which is among the game's fastest. That makes it difficult for hitters to settle in between pitches and, Suter admits, there can be a slight advantage to working quickly. "I don't want to quick-pitch people; I don't do that," he said. "But I want to keep the tempo up and let my fielders get back in and hit as quickly as possible. That's how I operate. If that gets them uncomfortable, that's fine, but I'm just in attack mode and up-tempo."